Taraji P. Henson, Janelle Monáe, and Octavia Spencer accepting the NAACP Image Award for Outstanding Motion Picture for Hidden Figures last week. Happy Monday. Back to the grind. Here are a few morsels of goodness to help start your week on a sweeter note. This week: trap yoga, meditating kids, a talk between a boxer with bipolar disorder and his daughter, Wu-Tang, and so forth. And remember: ask for help when you need it and check in on somebody when you can. You're so pretty. Elementary school, like Chris Brown fandom, can be quite stressful. See what happened when Robert W. Coleman Elementary School replaced detention with meditation. “Using the tracker really helps my mental health, it makes me feel like every day I’m a new person,” Bailey told BuzzFeed. “This tracker has a huge impact on my everyday life – it’s a great way to keep track on how I am feeling during the week.”"
WNBA Star Chamique Holdsclaw discusses her mental health struggles in Mind/Game: The Unquiet Journey of Chamique Holdsclaw. Learn more about the film and screenings here. Learn more about the film and screenings here. Years after his diagnosis with bipolar disorder, boxer Frank Bruno and his daughter Rachel had an open, frank discussion about his mental health journey and how it's affected their family dynamics. "1. Black Americans are as likely to suffer from mental illness as whites. The American Psychiatric Association reports that as many as 1 in 4 adults in the U.S. will suffer from some kind of mental disorder each year. And, as the association notes, African-Americans are at least as likely to suffer from a mental health issue as their white counterparts. That's why the myth that black people shouldn't worry about seeking professional mental health services — evidenced through statements such as "if black people could get through slavery, they can get through anything" and even the "strong black woman" trope, Mental Health America notes — are so damaging." 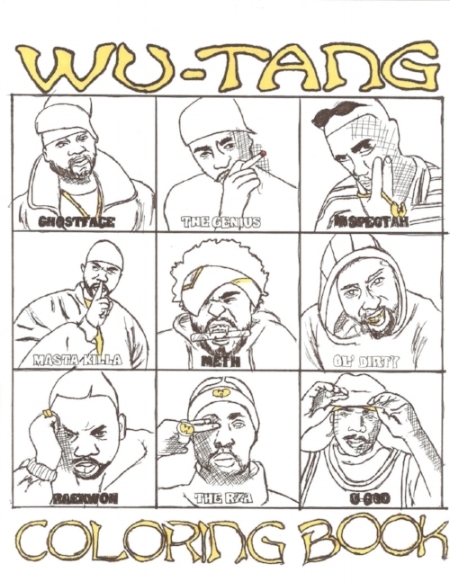 And here are two things you didn't know you needed: a Wu-Tang Clan coloring book and a Wu-Tang coaster set, from Paintings That Pop on Etsy, because self-care. Do you have any other mental health-related content, events, or info we should know about? Hit us up here.